"I started a company in high school and knew I wanted to continue learning about entrepreneurship somewhere with a good business school with a good reputation. After hearing about The Launch Pad and other resources available to students and alumni, I felt UM was a good fit for me in that sense. I didn’t want to limit myself to one set path for the next four years. I was interested in other fields, too, like music. So the Cognates Program [of General Education] intrigued me because, while I wanted to learn about business, I didn’t want to focus solely on numbers. 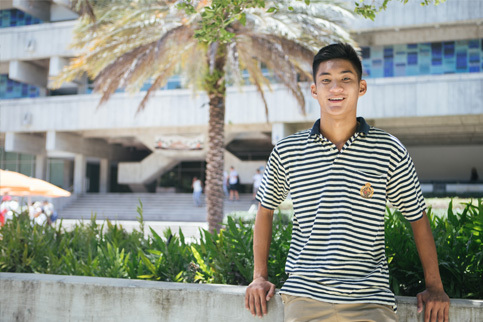 Because of the Cognates Program, I was able to explore more than just business classes and find other interests that I might not have been exposed to at another school. I could combine my passions."